Although Cinco de Mayo (5th of May) is a popular holiday associated with Mexico, el Dieciséis de Septiembre (16th of September) is seen as more important. Whereas May 5 commemorates the victory of the Mexican army over Napoleon’s French troops/invaders in 1862, September 16 marks Mexico’s declaration of independence from Spain in 1810. Either date is cause for celebration, especially in South Texas where we have many Mexican friends and neighbors. From them we have learned a little bit about their Hispanic heritage as well as some of the foods they prepare for special events. 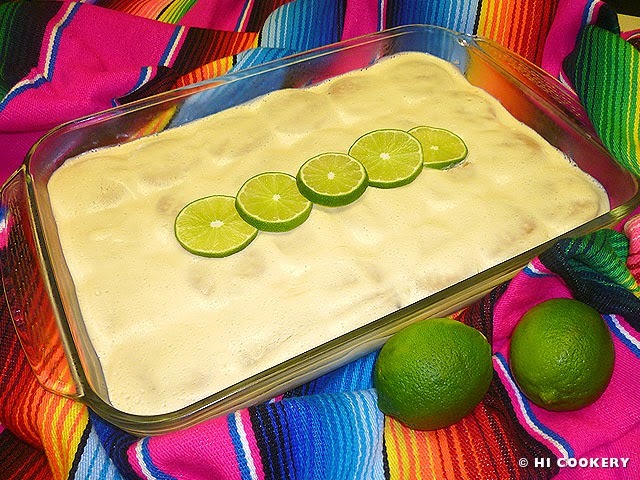 Carlota de limón (also called postre de limón) is one of the quick and easy recipes they have shared with us. 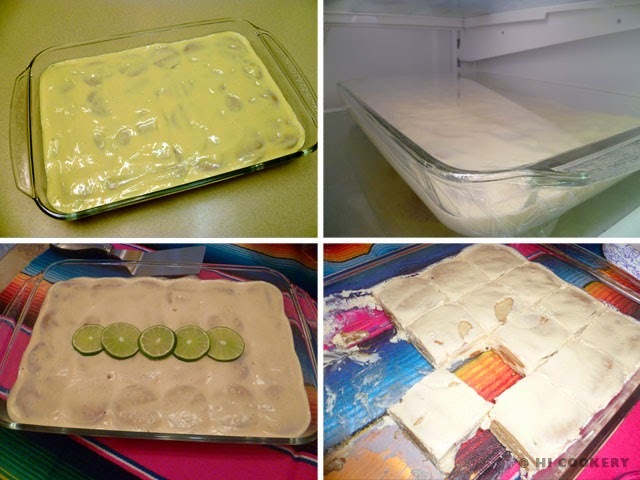 It is like a trifle that consists of alternating layers of cookies and a creamy lime filling. This makes for a delicious dessert for Dieciséis de Septiembre and during other Mexican holidays. Juice the limes. 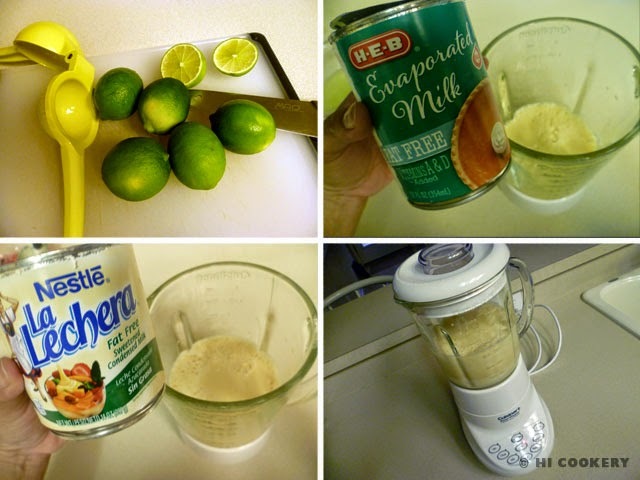 Place the juice with the evaporated and condensed milks in a blender. Blend until smooth. In a large glass casserole dish, layer the cookies. Pour 1/3 of the lime-milk mixture over the cookies and spread to cover them. Arrange more cookies on top. Pour another layer of the lime-milk mixture over it and spread to cover them. 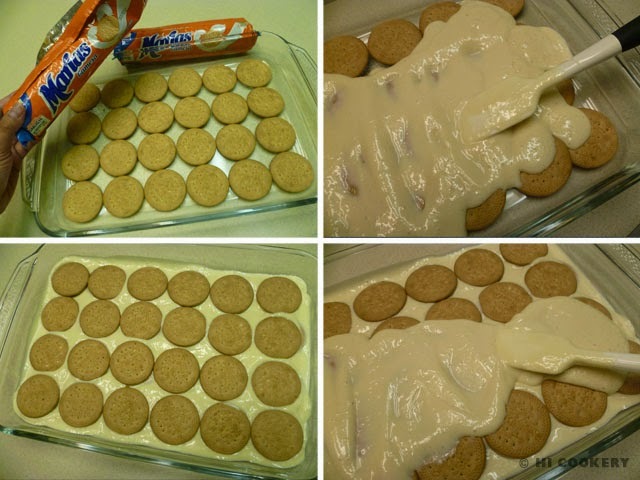 Arrange the last layer of cookies and finish spreading the lime-milk mixture over it. Cover with plastic wrap and refrigerate for at least three hours or overnight to allow the cookies to soften, the lime-milk mixture to solidify and the flavors to develop. Before serving, garnish with limes (optional). Cut into 24 squares. Some recipes add a cup of softened whipped cream cheese to make the filling fluffier and thicker. Pipe a pretty border with whipped cream to decorate the edges (optional). Happy Hispanic Heritage Month to all our friends from Latin America!